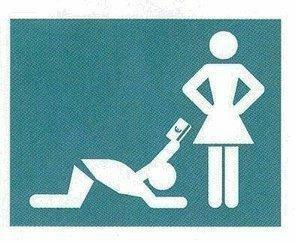 It seems to me that the key to successful relationship is financial compatibility. I believe that being on the same page financially with my partner means that we have the same life goals. A life goal would be saving for a house or a vacation at the same time. In other words wanting the same things at the same time. This key to successful relationship is so important because it will create a strong and lasting relationship. How Important is Financial Compatibility to the Road to Success in a Relationship? According to a survey recently done by Credit Canada jointly with Capital One says that 86 per cent of couples fight over money on a regular basis. What are couples clashing about? Often times it is their values that differ on how money is spent and saved. For example, if you are someone that values money by saving it and has never been in a debt, are you comfortable joining bank accounts and sharing bills with someone that is a spender? Some people view debt as an enviable part of life, whereas others refuse to purchase something unless they can flat out purchase it with cash. If the thought of either of these views make you ill, you should think twice before choosing a partner that thinks that way. Once more, the survey reveals that more than one-third of couples commit to a relationship without even discussing about money. That should be considered a huge red flag considering that nearly half of those in a relationships belief they have a different philosophy over financial issues as there other half. 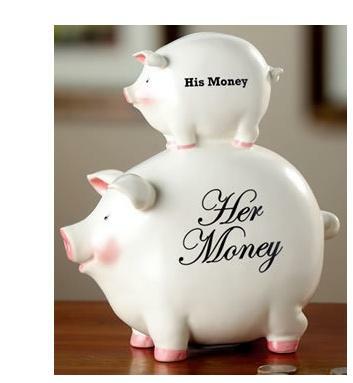 Moreover, men and women have different concerns over financials. Women’s worst financial fear is not being able to pay for their kids’ education, while in contrast men worry about not having enough money to retire. If you still doubt the key to successful relationship is being on the same page financially you might be incorrect. This article featured in MoneySense in its December/January 2010 issue. According to a study entitled Fatal (Fiscal) Attraction: Spendthrifts and Tightwads in Marriages from the Wharton School of the University of Pennsylvania (FYI: the business school Donald Trump attended) that it is more common for someone to pick a partner that is opposite to them. Really??? Get this: it is reported that spenders say they are attracted to spenders and savers are attracted to savers BUT those same people are unconsciously picking the opposite. Could it be the thrill or hopes to be more like that person? It is probably what keeps their relationship interesting. Anyone that knows me knows that I’m a saver (thanks Dad!). Sometimes I wish I could be more carefree but I know I get stressed out by over spending. My partner is also a saver which is probably why we work. But what I have noticed is that we tend to be more frugal towards different things. 1. I think it is important to have the same life goals when it comes to the bigger picture. Do you want the same things at the same time? Are you both doing something at the same time to achieve that goal? 2. Be open and honest about your financial dreams and setbacks. Hiding any financial history will come back to bite you especially when things get serious. It will show up when you go for your mortgage approval or any loan. 3. You both do not have to be in charge of the finances as long as you are both aware of what is going on. Communication and compromise is key. Maybe then financial compatibility is not about being the same but rather balancing each other out financially. These tips should get any couple on the road to success. Click here to leave key to successful relationship.